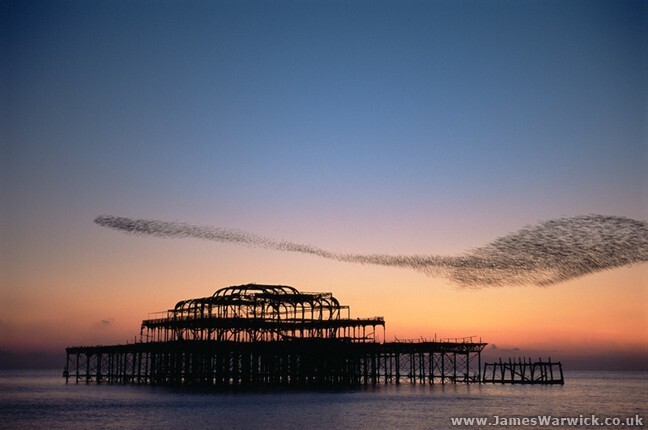 Swarming bahviour of the kind that creates the starling birdswarm over the pier in the evenings (see Vimeo video from New Orleans below, great example of it 1) looks organised but yet completely random. It is created by surprisingly simple rules of interraction, comparable to the rules of a dance. Mathematics has been used to create a simple animation to imitate the naturally occuring phenomenon (see wolfram link below 2) based on the idea that each ‘dancer’ randomly chooses one other to follow and one other to avoid, and then ‘randomly’ re-chooses. See wiki link 3 for more info on swarming behaviour and artificial intelligence. Jay Funk, based in L.A., recently did this advert for Samsung in which he only dances using the top half of his body, and even then it’s primarily using just his hands. At first it just seems that perhaps he just had to much time on his hands, pardon the pun, but the speed and intensity soon picks up, and to top it off the clever use of CG in the clip also really helps bring it to life. It’s a great way of looking at alternative forms of movement.